We have so much food in our agriculture field, in our food storage and in the grocery and we have so much food someone have. Why we have hungry people in the street? Why close to 40% World people are Hungry or half hungry? 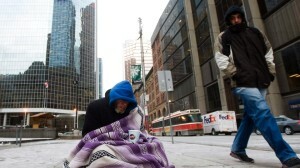 Why we have 40 % kids with adolescences are hungry among the hungry people, in here in Toronto? 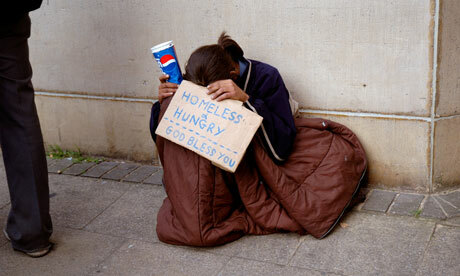 Why we have homeless or street kids? We have the highest quantity of houses in the Earth, in the History of our Mankind! We have so much empty homes in the our Mother Earth. We have so much Church or Mosque, so many community centres, so much intellectual institute or intellectual people, so why we have so much hope less people in the Earth? We have so much law enforcement people, so much Police or RCMP, so why we legalize drugs trades by adolescence or by kids? Why Adolescence or kids has to sale drugs on Yonge Street or in any streets? We have so much empowered women , our Mothers , Daughters or our morality to our society so, why we have prostitution or kids prostitute or why prostitute have wait in the cold winter for customer for her food and shelter? Why strippers have to open her cloths for money? If we have family, social well fair, friends, feminist or our morality or religious? There are so many way to make money in our Mother Earth, so why we have to make money by selling weapons or making wars or make money from wars? Why in media I have to watch some war field, killings, bombing, hungry, manmade disasters and next second why I have to watch a luxurious car or corporate product elite advertisement. Why Media is fooling on me? Farmers do not own their own agriculture land, why it is own by corporate people? Why so many people are in poverty in our Mother Earth? Why Media make ethnical, cultural or religious issue, if everyone is same flesh and bone? How come everything is taken by corrupt corporate Elite with Corrupt Political People? When we are still alive? How come it happened? How come we let it happened? How come? Why this happened even in Toronto, the City I breathe? Break the Circle: Join here in Toronto with me, right now. ← Equifax is a leash on my Neck! Ban Credit System.